The BIOFUEL Division disposes of machines and equipment for the processing of necessary amounts of biomass used for energy purposes. Some basic equipment and tools, such as power-saws, approach tools and logging tools is needed for wood harvesting and logging. It is not possible to get the logged and collected wood material out from the forest stand without equipment which can move in complicated and rugged terrains. An important criterion is a respectful approach to nature and its flora. 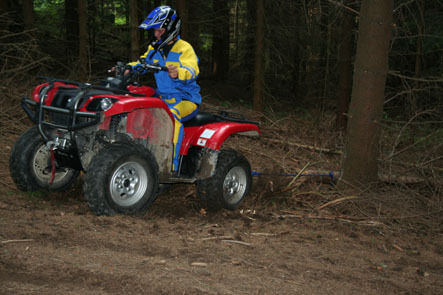 High-efficiency equipment with minimum adverse impacts on forest soils is therefore used. The BIOFUEL Division uses efficient quadricycles and light hauling vehicles. Wood raw materials are processed by mobile chipping equipment directly at hauling points. The aim is to make biomass processing as effective as possible and reduce transport costs can be lower compared to the transport of unprocessed biomass. Mobile chipping equipment serves for different purposes. Lighter one is designed for more complicated terrains. Heavier equipment passes through complicated terrains more easily, and has a higher processing capacity. 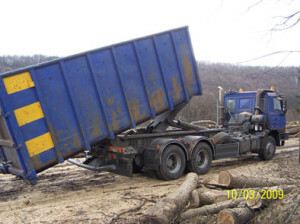 Transport logistics is the basis of successful work in the field of biomass processing. The BIOFUELS Division disposes of container trucks providing for the transport of processed raw materials from mobile chipping equipment directly to storage rooms. The car fleet consists of trucks specially designed for heavy terrains (TATRA) and vehicles for primarily used in road transport. Handling equipment is an integral part of the machinery, ensuring biomass handling directly at storage places.